A super fresh great tasting Colombian certified up the wazoo! A new region that we have not had coffee from before but after tasting this lot, will keep an eye out for other arrivals. Coming from family-owned farms organized around Asociación de Productores de la Sierra Nevada de Santa Marta, a producer association with 32 members who live in the municipality of Ciénaga within the department of Magdalena, Colombia. Members of ASOPROSIERRA promote agro-ecology principles to improve the quality of their coffee while taking care of their natural resources. 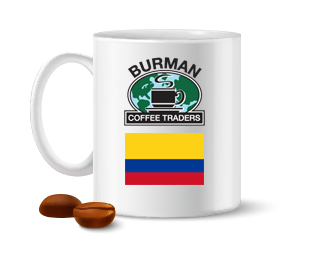 This cup has just about everything I personally love in a Colombian. A little soft fruit tone upfront with just a little hint of sweet acidity balanced with a nice nutty caramel tone and finishing with a little bakers chocolaty factor. Smoother than most and without that very dry nutty and herbal tone that one commonly sees out of Colombia. Clean, smooth and rich coffee; a great everyday drinker. A great medium to dark roast coffee. Light roasts promote a little too much raw acidity and will not develop the lovely caramel/chocolate tones in the cup. Medium roasts are soft and balanced with a sweet edge. Darker roasts will be a much heftier cup chopping out all the acidity and most of the soft fruit, still very tasty but less exotic.